A group of female leaders in public media has formed a committee to address issues of gender inequality in the executive ranks of public media. The New York Times focuses on companies who are developing pay equity analysis teams to evaluate the wage gap, with varying results of success. Read the full article here. What does the median full-time income tell us about the gender pay gap? PBS NewsHour takes an in-depth look at the numbers and how equity is calculated. Using new data from the Bureau of Labor Statistics, we can track our progress. See how consistent women's pay has been. In a recent article by the Harvard Business Review, Deborah Ashton outlines six practices that actually work. Read the full article here. In their recent article "Women's Wages Are Rising: Why Are So Many Families Getting Poorer," The Atlantic looks at the good news and the bad news for women in the workforce. Are you surprised that even though women's wages are going up, so far it hasn't been enough? Get the data and read the article. Surprised that’s still the case in 2014? Results of the report can be found here. The Denver Business Journal announces, "Colorado women earned 78.3 percent of the earnings of their male counterparts in 2012 — a decline from 2011, according to a U.S. Bureau of Labor Statistics (BLS) report" released Tuesday, March 11, 2014. Read more about the reporthere. This blog post is part of 9to5’s collection The Face of the Wage Gap to recognize Equal Pay Day 2014 and illuminate the ways that the gap between the income of men and women has many factors and many necessary solutions. As a woman working a low-wage job, it can be a struggle to make it paycheck to paycheck. When my younger daughter needed surgery at the same time that my elderly father needed immediate medical attention, times were tough. If not for the Family and Medical Leave Act (FMLA), I would not have been able to take time off from work to care for them. But having to take time off unpaid was an enormous financial burden for me. I had to choose between paying rent and caring for my family. I needed to make sure they had medications and healthy meals. After not paying rent and utilities, it took me four months to get partly caught up with my bills. Women are almost half the workforce in the U.S. We also do much more than half of the unpaid work caring for family members1. In households with two working parents, moms spend about 75 percent more time on childcare than dads. Women are also two-thirds of the caregivers for sick, elderly, or disabled family members.2 This culture of female caregiving means that having no paid family leave hits women’s paychecks harder than men. Although FMLA is great and I was able to keep my job, we need the FAMILY Act, which would institute a paid family and medical leave insurance program. Having paid family and medical leave is necessary now and for the future of our families. Establishing paid family leave is also a necessary step to close the gender wage and stop punishing women financially for taking care of our families. That’s why I’ve gotten involved with 9to5 and am taking action to ensure that all of us are able to be there for our families when our care is needed. Read more from the blog collection or about 9to5's Equal PayAction alert. To ensure that corporate culture supports – not hinders – the ability of women to reach top management, companies must address mind-sets and develop a more inclusive, holistic diversity agenda. 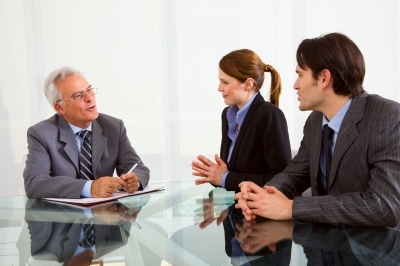 A new survey from McKinsey and Company shows why. Read the report here. How does your hometown compare? The gender wage gap persists across the country according to the most recent statistics from the U.S. Census Bureau. Not only do some states lag far behind, some also have great disparities between contgressional districts. How does Colorado stack up against your original hometown or your sister’s city? A recent USA Today article looks at the country's worst-paying cities. The Lilly Ledbetter Fair Pay Act of 2009 is a federal statute that was signed into law by President Barack Obama on January 29, 2009, amending the Civil Rights Act of 1964. The new act states that the 180-day statute of limitations for filing an equal-pay lawsuit regarding pay discrimination resets with each new paycheck affected by the discriminatory action. Ms. Ledbetter was the plaintiff in the discrimination case Ledbetter v. Goodyear Tire & Rubber Co. and is the namesake for the bill President Obama signed into law. She is the honorary public policy chair for AAUW of Alabama. In early January, Ms. Ledbetter authored an op-ed for the Washington Post calling for leaders to put some teeth into U.S. fair pay enforcement . 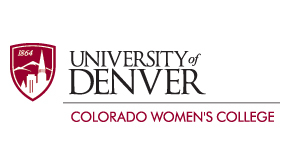 An analysis of the numbers regarding the continuing issue of pay inequity in our state for women, and a conversation with Lynn Gangone, Dean of Colorado Women's College at the University of Denver. Many women in Colorado are refusing pay increases. A closer look at why -- and a little-known snag in the law -- in this documentary by I-News at Rocky Mountain PBS. Ledbetter fought to ensure that women would not face inequity. In 2009, President Barack Obama made the Lilly Ledbetter Fair Pay Act the first piece of legislation he signed upon taking office.